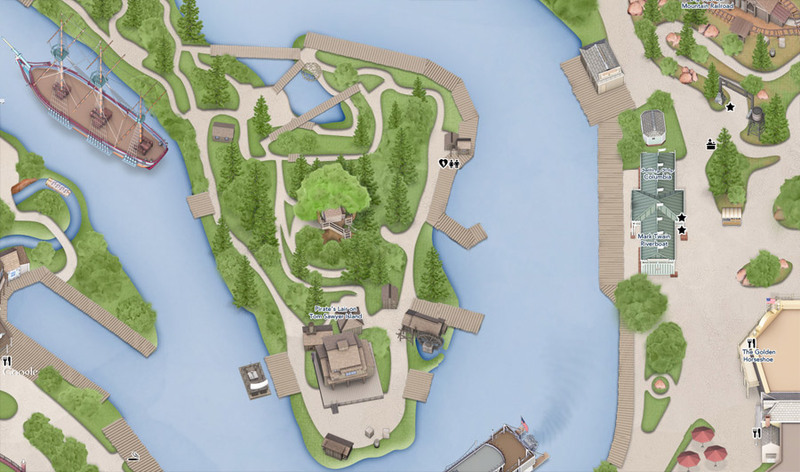 Frontierland is wide, but it is mostly paths, with not a lot of buildings outside of the main fort/town. The Columbia is the two-masted sailing ship at Disneyland. It operates as a transport to Tom Sawyer Island on weekends and select seasons only. I'm sorry I don't have more photos of the ship itself. There are a few of the ship in its parking spot near Critter Country.